So, I’m switching things up for a moment, because this blog is as close as I’ll ever get to a scrapbook and so I’ve gotta document this for the record (and for me ever feeble mind). So, redirect your attention away from our more recent lofty topics of religious life and the pondering of vows and prayer and an intentional life…and let’s have some girl talk. Let’s talk about hair! Because, if you’re a girl, and if you’re a girl of curls…well it’s ALWAYS about the hair. Right? Right! 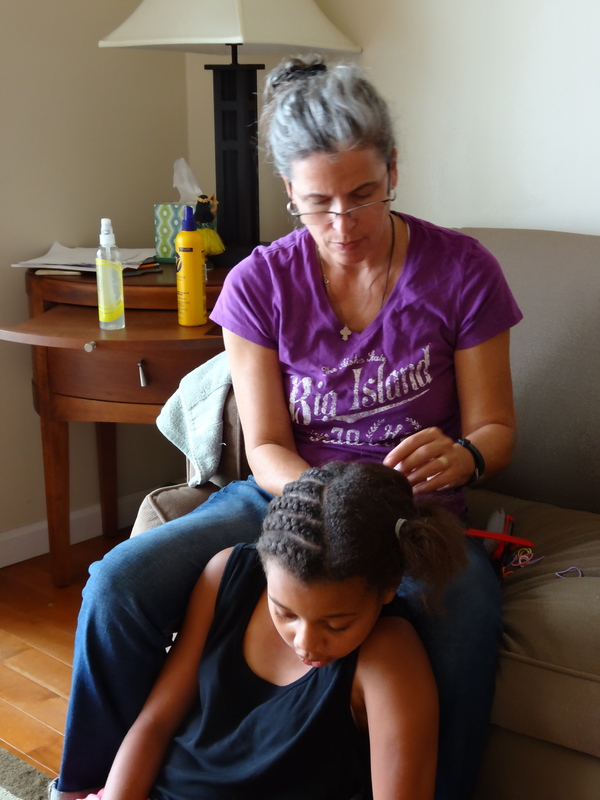 Now, having five kids with curls of all types, we’ve been talking about, learning about, practicing, doing, and stewing about hair for, oh….almost fourteen years. That’s right. So, some might say that I’m an old hand at this…meaning a ‘seasoned pro.’ Um, literally, I AM an old hand at this. But, I am no hair gal/pro. I’m just a mom. A white mom even, which can well be considered a handicap. And I’ll take all the “cut me some slack” points I can get, ok? 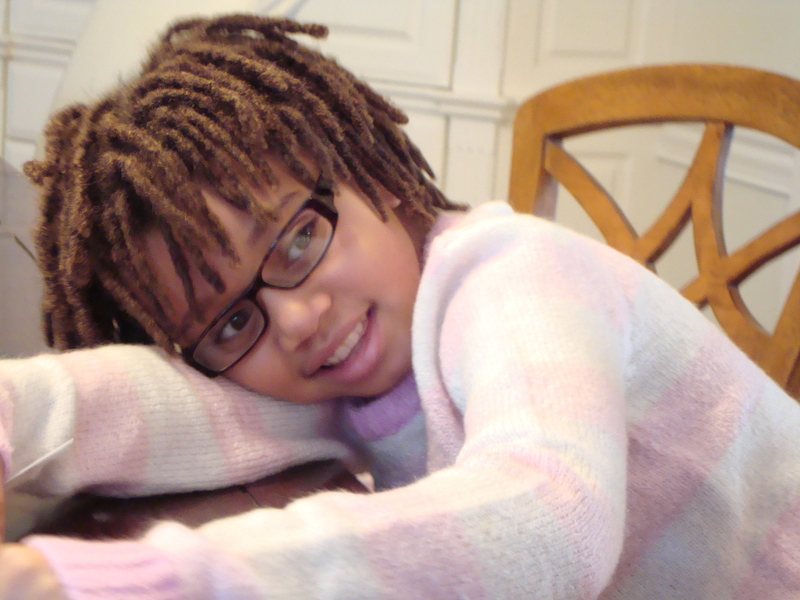 One of my daughters, in particular, has had an intensive hair journey, complicated by her, um, complications…. but even so, we’ve done just about every hair style that I can think of, short of color or wigs (and that I will leave to her purview when she’s geriatric)…. She’s gone from baby puffs, to baby twists and braids and clips and bling…to bigger girl ponytails and plaits and bangs and press and freestyle and on and on…. Some of you may remember when we loc’ed our Sarah’s hair. That was a big decision; made for many private reasons, but mostly because her hair was breaking like mad and it was the strongest safest way to get her hair to grow, and not have to fuss with her about it. It let her be her without fooling too much (read: beyond her ability to deal) with her head all the time And it worked! The locs grew and looked terrific. 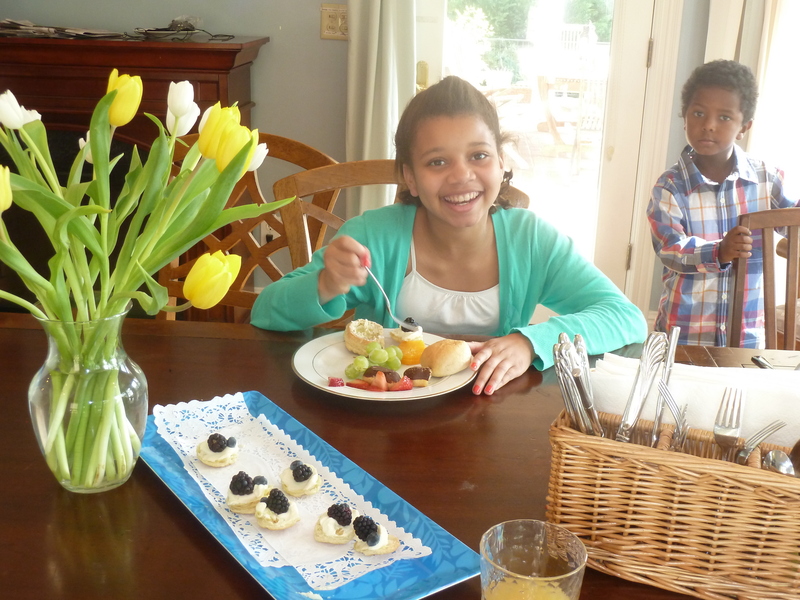 But, eventually, she became a preteen and wanted to conform a bit more, fit in, not be different. 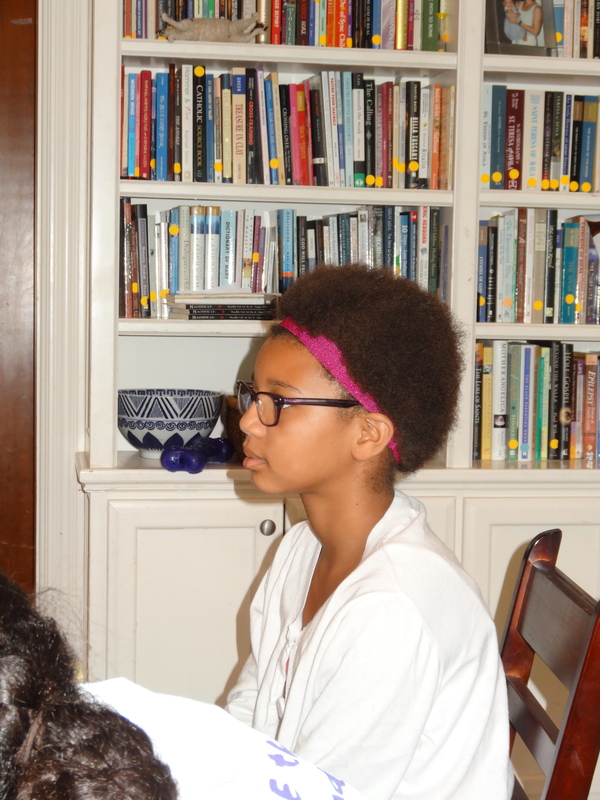 So, since she already had that “feeling different” thing pegged/built in (being an African American girl w/ a half white family), I felt it was only fair to let her enter her teens on her own terms. Now, most of the time when you step away from locs, you CUT them off. You go back to the TWA (teeny weeny afro). The big chop. Because, all that hair, it’s, um, LOCKED together. But the big chop….that was not on her wish list. A tough gig for a middle school girl. So, I took them down. It was a job. You can read about it here. Then she wanted to do the press and curl thing. So we did. Every few weeks at the ever wonderful Mary’s hair salon. Then she turned 13. And you know, that’s a Teen. Capital “T.” Yeah, makes me shiver too. But, that meant that she wanted to flip her hair, do it herself, pull it back easy for sports, and so on. So. I caved. I let her get the perm. And, of course, she looked beautiful (tho I missed the locs at this point). But, she always looks beautiful, because she is. But, sooner rather than later, her poor fragile hair started breaking. My heart started to seize because all those years of growing with locs and then taking them down and not cutting, the babying the hair….gone in an instant. You don’t spend over 40 hours taking down locs to be happy when that hair breaks off. Sigh. Her hair is just too fragile to perm. And IF, IF, she could manage it and baby it and take extra tender loving care of it…then maybe, maybe, she could perm it. But she can’t. And, before you swing your fingers to point at me, asking why I don’t do the hair care for her….she WON”T LET ME. It’s that teen fussy thing, ok? So over this past spring I just delayed, on purpose, the touchup of her perm. Then I started talking to her about growing it out. Her sister had already long decided against any more perms (though she can manage her own hair, easily, with only occasional braids from me). Finally she agreed that she wasn’t happy about the breakage and didn’t want any more perms and maybe it was best to ‘go natural.” And so, that is now the next step along this lifetime hair journey for my sarah. She chose to go natural. She is transitioning. NO. She WAS transitioning. All summer. But transitioning hair is incredibly fragile too and at the line between permed and growth it just wants to break. It’s super hard to manage. The different textures fight with each other, in styling, in care….and the hair loses. We limped along through the summer with lots of protective braiding and conditioning and just being easy in the summer. But, finally, sweet Sarah, who resisted the big chop for many weeks, said, “Mom, you can cut, it, if you think I have enough new growth.” So. We measured. We checked with mirrors. And, then, we both took a deep breath and I…snipped. Slowly. Bit by bit in front of the mirror. Every cut, she okayed. “Here?” I asked. “Yeah.” She said. And that is how our Sarah got her second, but better and longer, big chop. But her big chop this time had just about 3+ inches of growth. And it wasn’t a teeny weeny afro at all! It was a small to middle size beautiful afro. I swear her hair sprang soft and smiling in thanks. She did too. She found her earrings, she found her headbands, she put her hands through her hair…and she smiled. A few days later, she even said to me, “I think my hair looks good.” It does sweet Sarahbird. It really does. 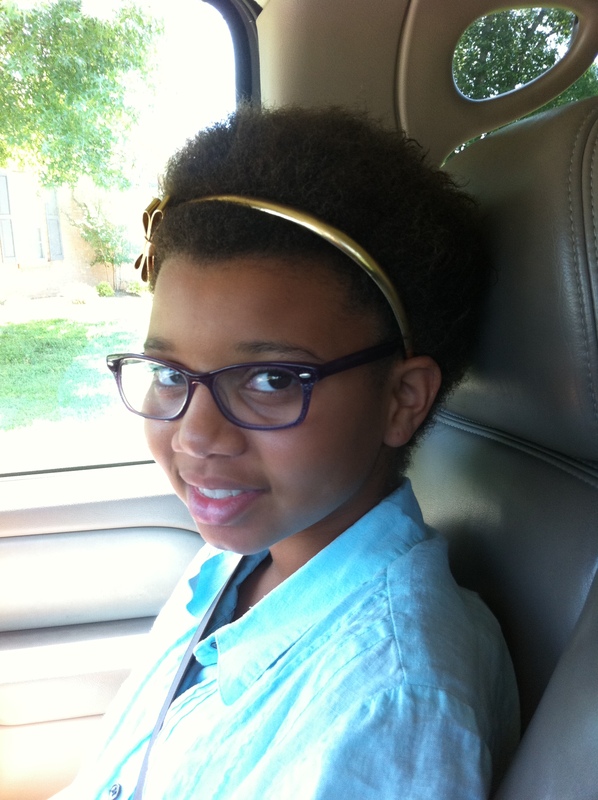 This entry was posted in adoption life, family, girls, hair and tagged natural hair, teeny weeny afro, the big chop, transitioning hair teen girl by coffeemom. Bookmark the permalink. I LOVE reading this and I love that picture of you braiding! I love her natural hair and I think it’s a good example to all little black girls to see older girls wearing their hair natural. I’m sure you have websites and resources that you love, but have you read http://www.curlynikki.com? It’s the site of a woman that’s big into the natural hair movement and she talks about all things black hair. She also highlights black women in the media who have gone to natural hair and it’s really great to see this embraced more. Oh, and we need to get together some time so you can teach me to braid! Sadly, I don’t even know how to french braid. 😦 Hazel’s hair is pretty loose, but there’s so many times I’m wishing I could braid her up and not have to restyle every day! Thx Larissa! I do know that site! I’ve scoured it over time for info ideas and inspiration. And we DO need to get together. Ti catch up! But I’ll teach you what I can anytime. Hazels hair is so soft it will be easyto braid especially as it gets longer to help the hold. Let’s get together soon! Her hair does look great, and so does she… what an adorable girl. hi mama! will you tell Sarah that I think she’s one of the most beautiful teenagers i have EVER seen? Like seriously, truly, really…. she’s totally gorgeous and her hair is AMAZING. I’m so jealous!!! She’s awesome :). Thanx sweet Becca! I’m of the same mind! She doesn’t think so…but I’ll tell her! Ah, Sarah! You look SO beautiful! I LOVE the specs, too. You have an awesome style going on. Rock it, girl!